Feel comfortable while looking great. Recently, jeans have stepped out of the top spot in our closet and non-jean pants – particularly luxe joggers – have become our new go-tos. 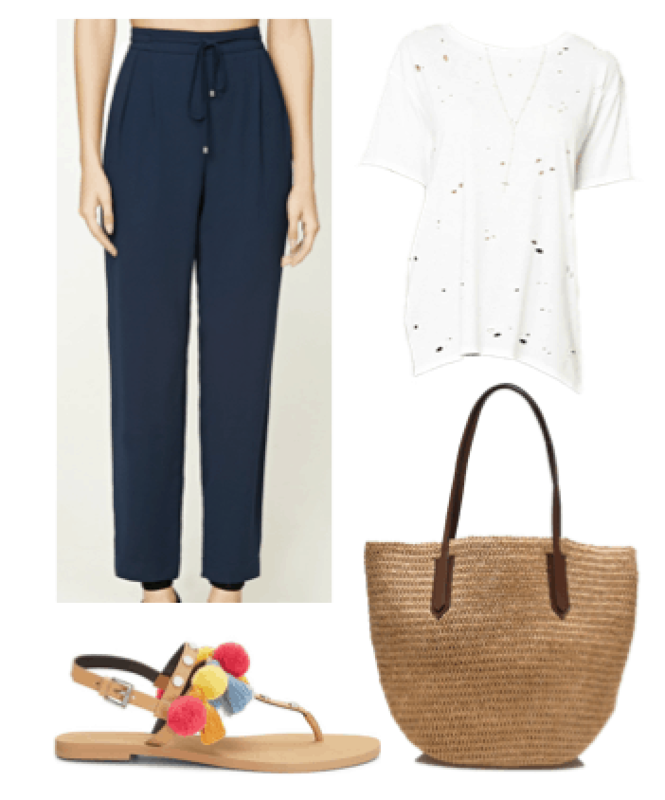 While you might see a drawstring and think “good only for lounging around,” I’m here to prove you wrong: These pants can be worn for almost any occasion. Think it can’t be done? Today, I’ll show you three completely different outfits that feature some super comfy – and super inexpensive – drawstring pants from Forever 21. Keep reading to learn how to style them! If you want to see how to wear these awesome comfortable pants, keep reading! This shirt from Forever 21 is perfect to pair with the pants because it’s casual but the holes give it some extra fashion points. These sandals are perfect for this fun casual outfit: The fun pom poms add color to the look while keeping you super on-trend. Finish the outfit off with your favorite tote: This one from J.Crew is crazy versatile and perfect for beach days, lunches, or other fun outings. Here’s a fancier, more sophisticated look that incorporates these comfortable drawstring pants. (I told you that they were wearable almost everywhere!) 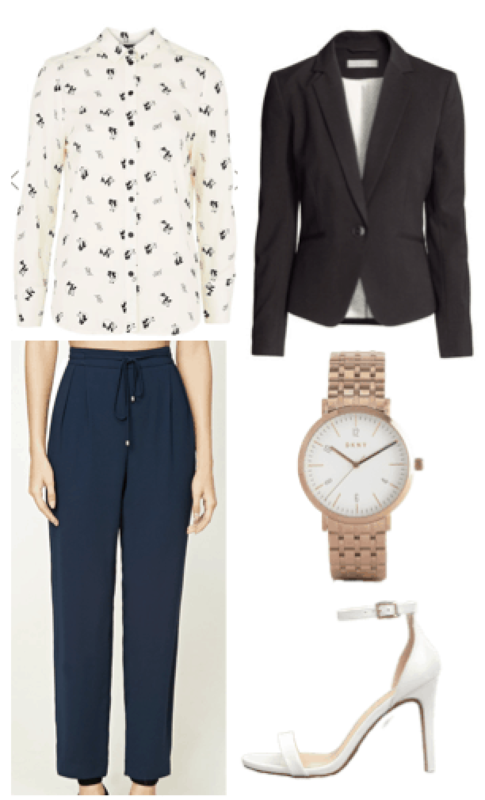 A nice button-down shirt goes perfectly with these pants for a business casual look. This shirt from Topshop has a cool print that creates plenty of interest to balance the basic pants. To make this outfit a little more professional, add a blazer. This one from H&M is perfect and affordable. Finish the outfit off with classic white heels and your favorite watch – how cute is this rose gold watch from ASOS? This outfit takes these pants from daytime to night. 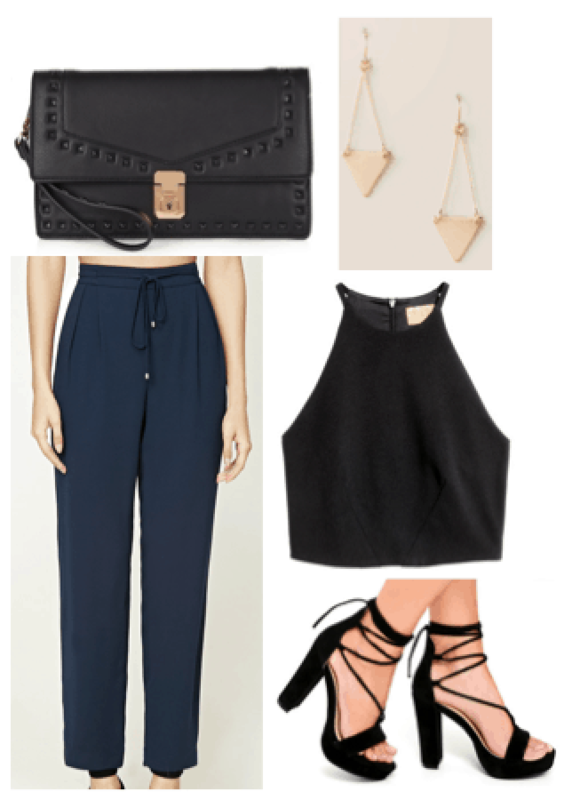 It’s an easy look to recreate: Just add your favorite crop top and some platform heels to the pants. These heels from Lulus are comfortable enough to wear all night and cute enough that you’ll want to! Accessorize the outfit by adding statement earrings and your favorite clutch. You’re good to go for the perfect night out. Do you own drawstring pants? Whats your favorite of the outfit above? Let us know in the comments below!